The tiger roared when he saw the goat. The children were frightened when they heard the lion roar at the zoo. The sports fans roared when their team scored a goal. A roar is a roaring sound. When the comedian told her joke, there was a roar of laughter from the audience. Mary woke up to the roar of thunder during the rainstorm. The 1920s were called the Roaring 20s because it was a time of prosperity, new styles and wild times. You could say that people roared with excitement. 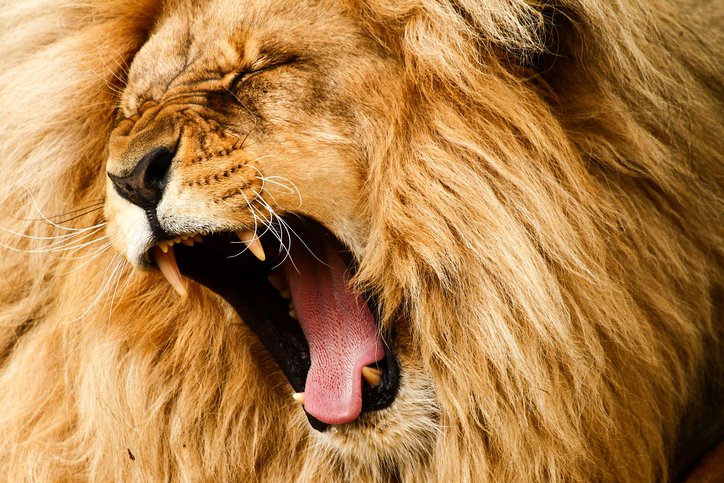 Listen to Helen Reddy sing “I am woman, hear me roar.” She is roaring because she wants you to know that she is as strong as a lioness. Does it surprise you that this song was very popular when it was released in 1972? There are other meanings of roar.